If you’re not ready to pitch for this year’s conferences, you can still feel free to attend! JOIN US and witness 30 rocking startups battle to win a chance to join TSS across 3 different countries! You are also in for a treat as we are inviting 3 of our startup alumni to share their experiences + Q&A session. LAST CALL to all startups: APPLY NOW! 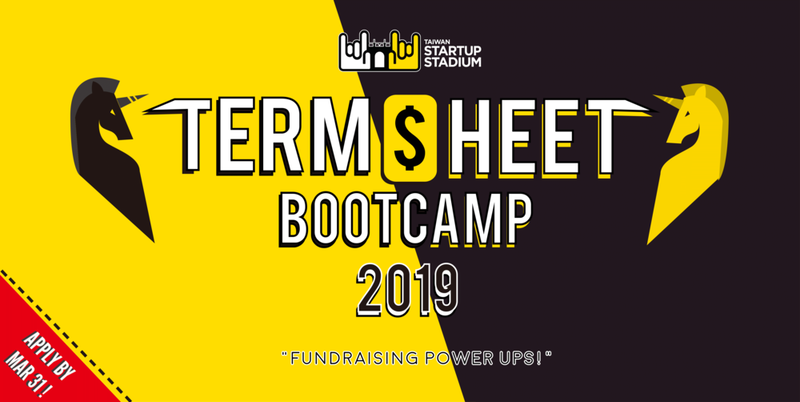 Along with a curated group of investors, serial entrepreneurs and legal experts, our goal is to engage startups with local ecosystem players and help startups gain the knowledge and skills to successfully fundraise! TSS with Winkler Partners is hosting another workshop that provides an introduction to setting up a business in Taiwan and key offshore jurisdictions. What are the advantages and disadvantages of each, and what this decision can mean for company growth and investment/acquisition prospects. Join 2018 winners ADENOVO & DT42 and rock it! TSS is excited to be a partner again for the second AIA in Taiwan this year! Audi continues seeking to empower startups with innovative solutions that impact our daily lives and shape the future of smart mobility. Paris Landing Pack_Explore is a business acceleration program providing a complete tool kit on doing business in France. It aims to create ideal conditions for foreign entrepreneurs to validate their product-market fit on the French market and explore business opportunities in Paris. The offer is free of charge and limited to one desk per startup! Take your business to the next level with TSS’ expanded membership program! We are launching the new level-up membership program - Starting Lineup X - to help more rocking startups in Taiwan go global! ✔️ Enjoy tons of corporate perks from AWS, Google, IBM, HubSpot, the big 4 and many more!!! Sli.do is the ultimate Q&A and polling platform for company meetings and events. It is perfect for high-performing teams as well as top events. Use Sli.do for company meetings, for team meetings, and for conferences. Super opportunity available for Program Associates! If you are a team player and a fast thinker, we would love you to be part of our growing team.